Agent-based models - computational models that simulate complex social interactions - have become a well established simulation tool in the social sciences, but until recently their potential within the spatial sciences has been limited. This pioneering text, pulled together by an expert team of authors demonstrates how agent-based modelling can be integrated with geographical information systems (GIS) to produce new insights on complex geographical phenomena, from patterns of urban growth to trends in mobility, population dynamics and health. Supported by an online code repository and additional materials, enabling you to walk through the examples in the text, this book will give you the essential knowledge and practical skills required for building and running your own agent-based models for simulating geographical systems. Andrew Crooks is an associate professor in computational social science with a joint appointment between the Departments of Computational and Data Sciences and the Geography and GeoInformation Science at George Mason University. His areas of expertise specifically relate to integrating agent-based modelling and geographic information systems (GIS) to explore human behavior. Moreover, his research focuses on exploring and understanding the natural and socio-economic environments specifically urban areas using GIS, spatial analysis, social network analysis, social media, and agent-based modelling methodologies. More information about this work can be seen at: http://www.gisagents.org. 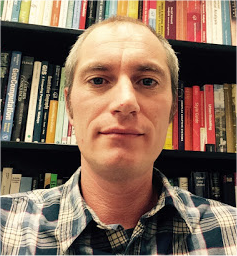 Nick Malleson is an associate professor in geographical information science at the School of Geography, University of Leeds, and a member of the Centre for Spatial Analysis and Policy (CSAP). 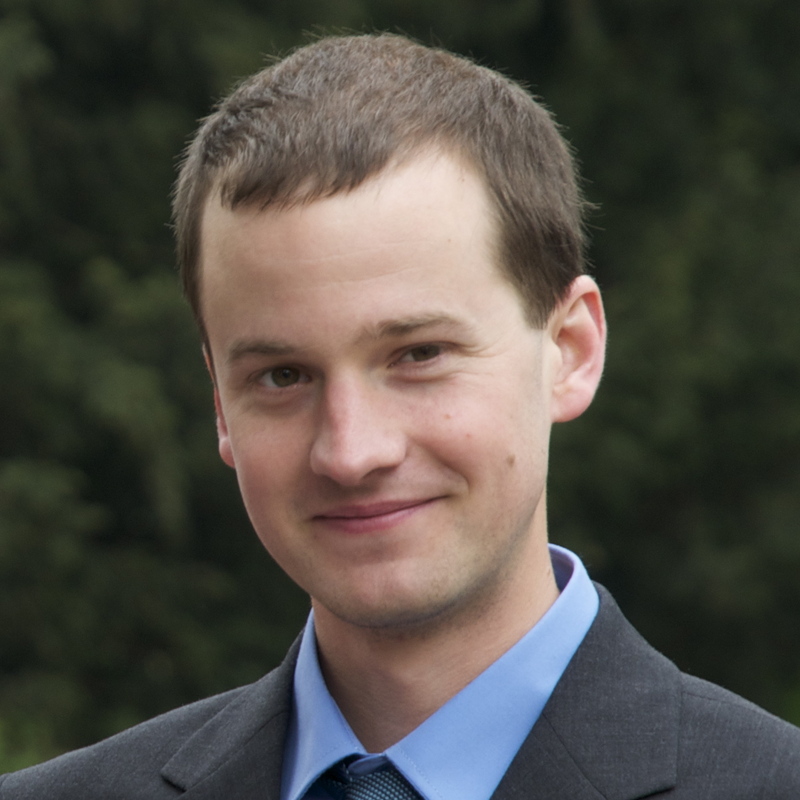 His research is interdisciplinary and centers on the development and application of spatiotemporal computational models in the social sciences, with a particular focus on crime simulation and modelling. More recently, he has been conducting research that explores the nature of massive “crowd-sourced” data in the social sciences and related modelling approaches. More information about this work can be seen at: http://nickmalleson.co.uk/. Ed Manley is an associate professor at the Centre for Advanced Spatial Analysis (CASA), University College London. 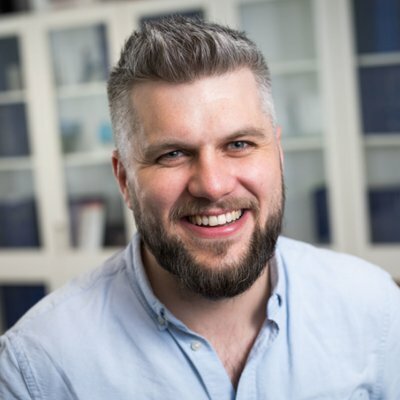 His research involves measuring and modelling the individual and collective behaviours that shape urban dynamics, drawing on new streams of data and simulation methods. Ed is particularly interested in advancing data-driven agent-based modelling in order to improve the understanding and prediction of complex social systems. More information about this work can be seen at: http://www.urbanmovements.co.uk. Alison Heppenstall is professor of geocomputation within the School of Geography, University of Leeds (UK) and an associate of Leeds Institute for Data Analytics. She is an expert in the development of spatial agent-based models (ABMs) with a focus on understanding and simulating behavior. 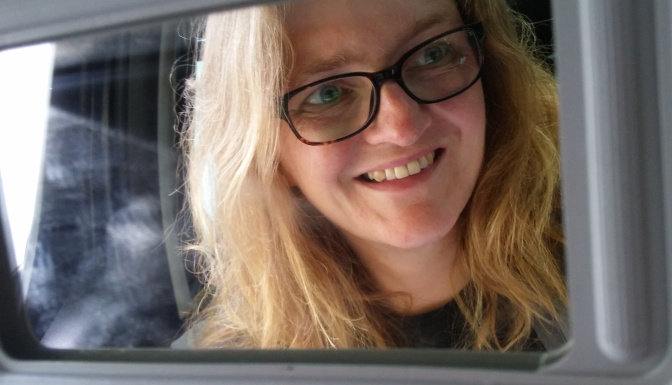 Her current interests are concerned with linking ABMs to artificial intelligence and machine learning methodologies, the role of Big Data in creating more robust ABMs, and the relationship of agent-based modelling to social theory. More information can be found at https://alisonheppenstall.co.uk. 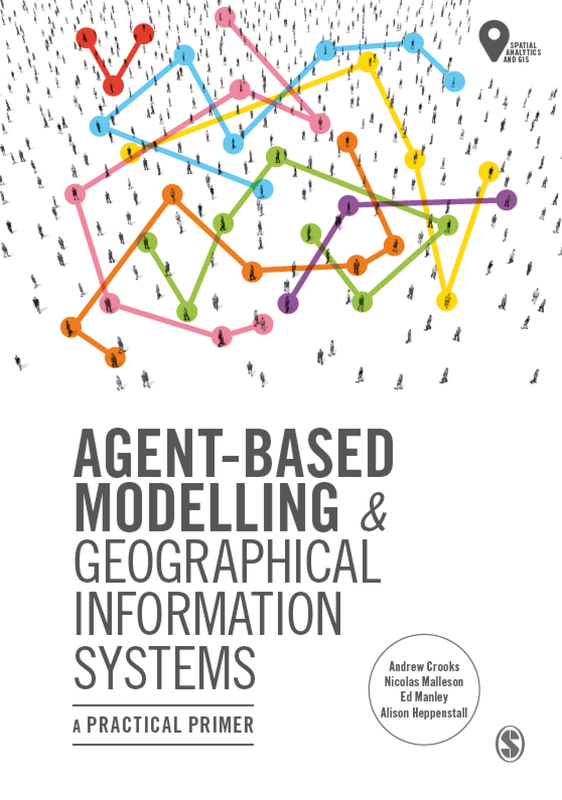 Below you cand read the chapter outlines for Agent-based Modelling and Geographical Information Systems: A Practical Primer In addtion to this for each chapter we provide a link for accompanying resources (e.g. teaching material, models and tutorials). The overarching aim of this chapter is to give the reader a contextual backgroundand general overview of the major developments in geographical modelling for thesimulation of the individual. The reader is introduced to a discussion around thepurpose of modelling as well how complexity theory has influenced the way thatwe view (and simulate) geographical systems. We end the chapter by discussingthe benefits of bringing together agent-based modelling and GIS. Click here to find accompanying resources for Chapter 1. This chapter we introduce the key concepts behind agent-based modelling. What is an agent, and what are rules? These are discussed along with a consideration of the main advantages and disadvantages for simulating spatial systems. A range of established applications are presented to give a flavour of how agent-based models can be successfully applied. The overarching aim of this chapter is to give the reader an understanding of what an agent-based model is. This knowledge will be built upon in subsequent chapters. Click here to find accompanying resources for Chapter 2. What are the questions that social scientists and geographers need to consider when designing and building an agent-based model? What design frameworks and software toolkits are available to use? What are their relative pros and cons? What methods are available for documenting design concepts and why are they useful to modellers? This chapter will introduce the core concepts and frameworks that can be used to plan, implement and disseminate geographical agent-based models. Click here to find accompanying resources for Chapter 3. This chapter provides an overview of the programming language and concepts that are used within NetLogo. NetLogo basics, such as how to create a simple environment, commands and procedures, are presented with step by step instructions for creating a simple model. Following this basic model, more advanced features are introduced. The overall aim of this chapter is to provide an understanding of the main components that make a NetLogo program. Subsequent chapters build upon the basics presented here. Click here to find accompanying resources for Chapter 4. This chapter presents the main concepts and terminology that students are required to understand geographical information systems. The main data types are presented, along with a discussion of relevant issues such as accuracy and precision. A brief overview of the development of GIS is given along with a flavour of the main software available. Using QGIS, we demonstrate how to prepare and manipulate some example GIS data. Where appropriate, we highlight the main issues that need to be considered when using a GIS and agent-based modelling. Click here to find accompanying resources for Chapter 5. Building on previous chapters outlining the fundamentals of GIS and agent-based modelling, what are the benefits to linking these approaches? How is this undertaken? This chapter will explain loose and tight coupling, critiquing the relative advantages and disadvantages of both. We present an overview of open source toolkits that can be used for the creation of geographically explicit agent-based models, before providing a critical look at where and how GIS and ABM should be combined, offering practical advice on best practice. Click here to find accompanying resources for Chapter 6. This chapter explores the most common approaches by which researchers incorporate human behaviour into agent-based models. We explain why it can be necessary to model human behaviour and the main considerations that the researcher needs to be aware of when developing an agent-based model. From this, we present an overview of the two main broad approaches, mathematical and conceptual cognitive models when it comes to modelling human behaviour in agent-based models. We supplement this discussion with two case-studies that provide examples of how these approaches can be implemented, both examples have the model code available that can be downloaded and experimented with. The chapter finishes with a discussion of some of the thorny issues that researchers need to be aware of when attempting to simulate behaviour within agent-based models. Click here to find accompanying resources for Chapter 7. Networks play a critical role in our lives in terms of physical networks we use to navigate upon, our social networks and more recently how we communicate via cyber networks (e.g. social media). This chapter provides a brief introduction to such networks and shows how they can be integrated into agent-based models. Importantly, a model is also introduced that demonstrates how to navigate agents along a physical road network (this is a common requirement for spatially-explicit agent-based models). Click here to find accompanying resources for Chapter 8. This chapter presents a range of statistics and algorithms that can be used to compare two spatial data sets. These are important for modelling because, at some point, it will be necessary to compare a model outcome to some real-world data in order to assess how reliable the model is. This chapter examines the statistics themselves, before Chapter 10 elaborates on how to evaluate the success of a model more broadly, part of which includes making use of the methods discussed here. Click here to find accompanying resources for Chapter 9. Model evaluation is one of the central challenges associated with agent-based models. A key question that all modellers face is “how well does this model simulate the phenomenon of interest?”. While there are no universally accepted methods for evaluating agent-based models, researchers often adopt the same three stage process of verification, calibration and validation. This chapter presents an overview of the methods that are commonly used within each of these stages. The overarching aim of this chapter is to provide the reader with the knowledge to design their own approach to evaluating agent-based models. Click here to find accompanying resources for Chapter 10. Agent-based modelling is one of the most popular approaches used in social and spatial simulation. However, there are several alternative approaches that are available, including: Cellular Automata (CA); Microsimulation; Discrete Event Simulation (DES); System Dynamics (SD); and Spatial Interaction models. This chapter presents an overview of these other approaches giving simple examples on how they can be used and summarising the main differences between them. To compare these models, they are applied to the same issue, the spread of a disease using a Susceptible-Infected-Recovered (SIR) epidemic model. This shows that while the same general patterns emerge, the reasons for this are very different. Click here to find accompanying resources for Chapter 11. This chapter reflects on the current state of the art of agent-based models and factors that may shape the future of this discipline. Specifically we discuss the key challenges for developing robust agent-based models of geographical systems as well as potential solutions. We argue that we need to make progress on these challenges if these models are to be used to offer insight into key societal challenges, for example climate change, urban growth and migration. Click here to find accompanying resources for Chapter 12. While the entirety of this book has given a readers a selection of models (mainly in NetLogo) with respect to agent-based modelling more generally and linking such models to real world geographical information. We thought it would be useful for readers to have exposure to agent-based models developed not only with NetLogo but also other toolkits. In this appendix we provide a gallery of applications from a broad section of elds that have been published in the literature or act as exemplars for getting started with agent-based modelling. The criteria for inclusion here is that the source code and data of the model is available and it is based on real world geographical information. In each case we provide a screen shot of the graphical user interface of the model, a short description of the model, its full citation where possible and where the model (and data) can be downloaded from. Our hope is that the models provide readers with exposure to the possibilities of agent-based models and its potential for analysing a wide array of geographical systems and also share their own models and data. Click here to find accompanying resources for Appendix A.